Solent and Falmouth fleets will join to celebrate the Falmouth Sunbeam fleet’s 95th anniversary in Cornwall. Although the Sunbeams first raced in the Solent in 1923, the Class was also adopted by the Royal Cornwall Yacht Club in 1924. Six of the eight boats which took place in the first race on the 21st May 1924 are currently in the Solent fleet. It is therefore fitting that this year we will help the Falmouth Sunbeams celebrate their 95th Anniversary. A special regatta will take place on 3 to 8 September 2019 and it is expected that a number of Solent Sunbeams will be making the trip down to Cornwall on trailers. 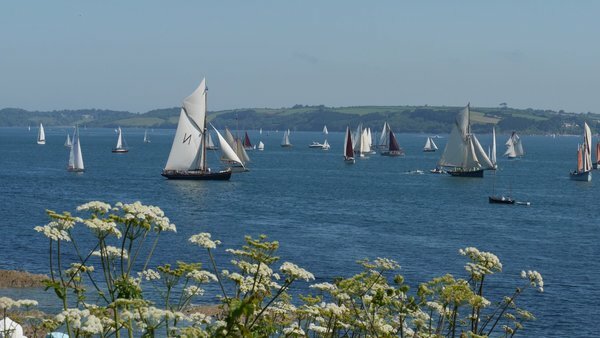 The regatta will consist of a mixture of championship racing and other events showing off the beauty of the Fal estuary. View our March newsletter for further info.